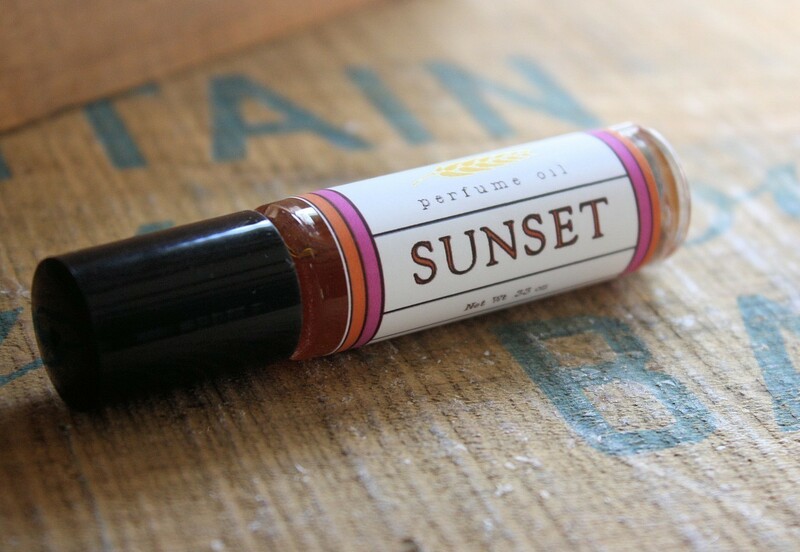 They say that our sense of smell is a powerful thing. That one whiff of something can take us back to a place in our memory – good or bad – and make us feel as though we are there again, living it. But if that’s all too deep and meaningful for you, then I’m sure you will at least agree that nice smells are good. And there’s Sunset. For Amanda, that “comes after a hot late summer day, and is accompanied by the cooling of baked earth, the frantic buzz of bees collecting newly released nectar before nightfall, the dampness of moisture settling on soil, and that cup of chai I instinctively reach for. 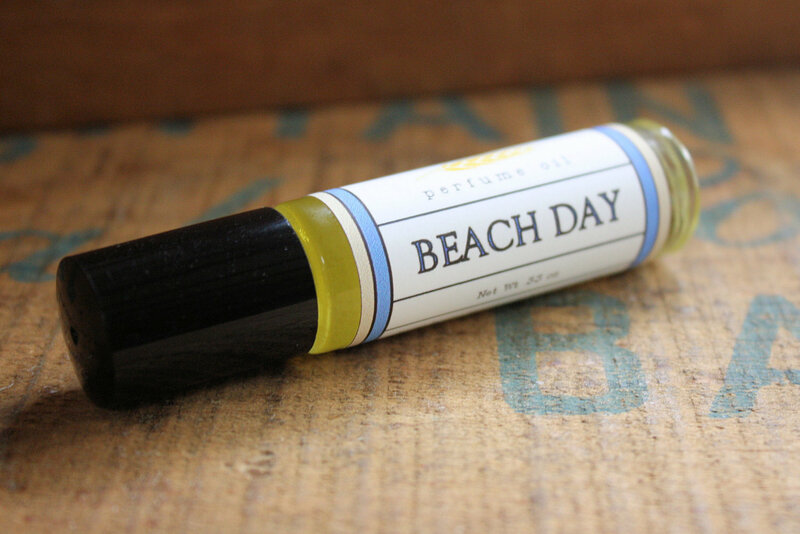 In scent terms, a blend of hay, white musk, beeswax, patchouli, and spiced chai.” Is it just me, or are Amanda’s product descriptions like poetry? 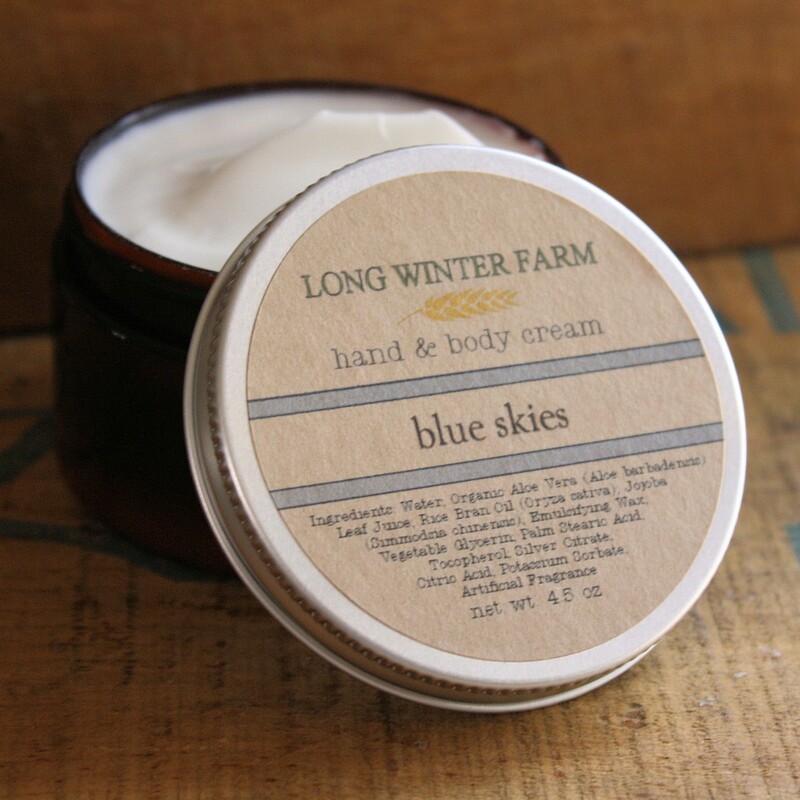 One more for the road – just because it sounds too lovely to leave out: the Blue Skies hand and body cream. Blue skies? “The result is super fresh, like running under a clothesline on a sunny day.” Love your work, Amanda of Long Winter Farm! For all these beauties and more, you can check out Amanda’s fabulous etsy shop here. Haha i love the sound of unicorn farts! Is it moisturizing? 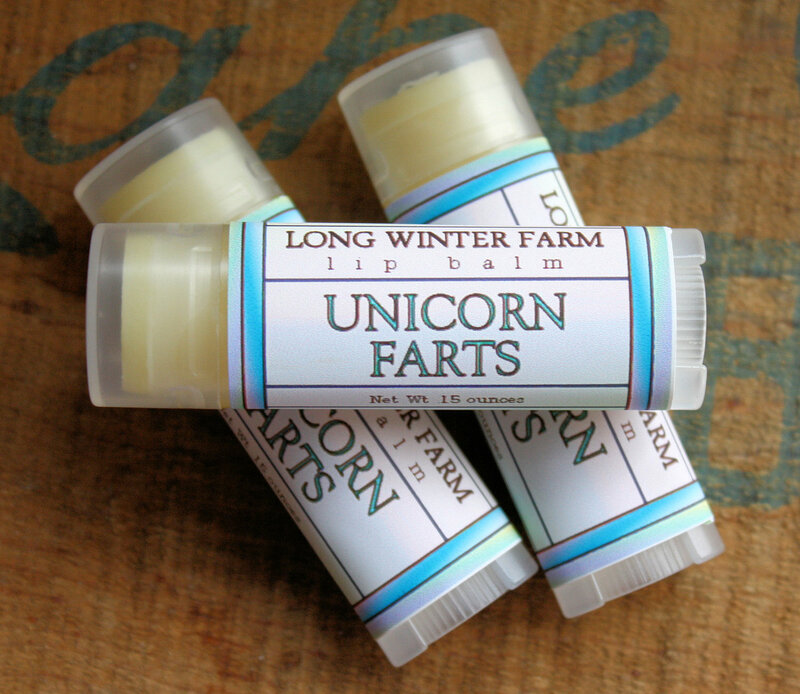 I do like the descriptions she gave for these, especially the one for Unicorn Farts. Haha, yes, that is a must! Does this mean therefore, that unicorns have functioning bottoms? You have ruined it for me Cate.